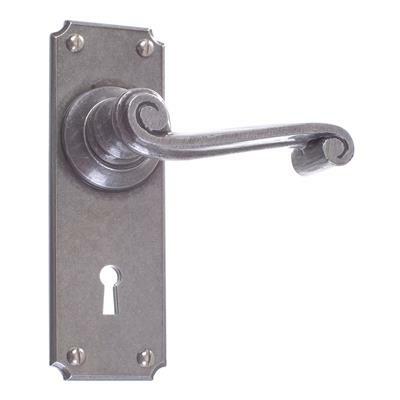 A pair of lever handles with a gentle and elegant curve. 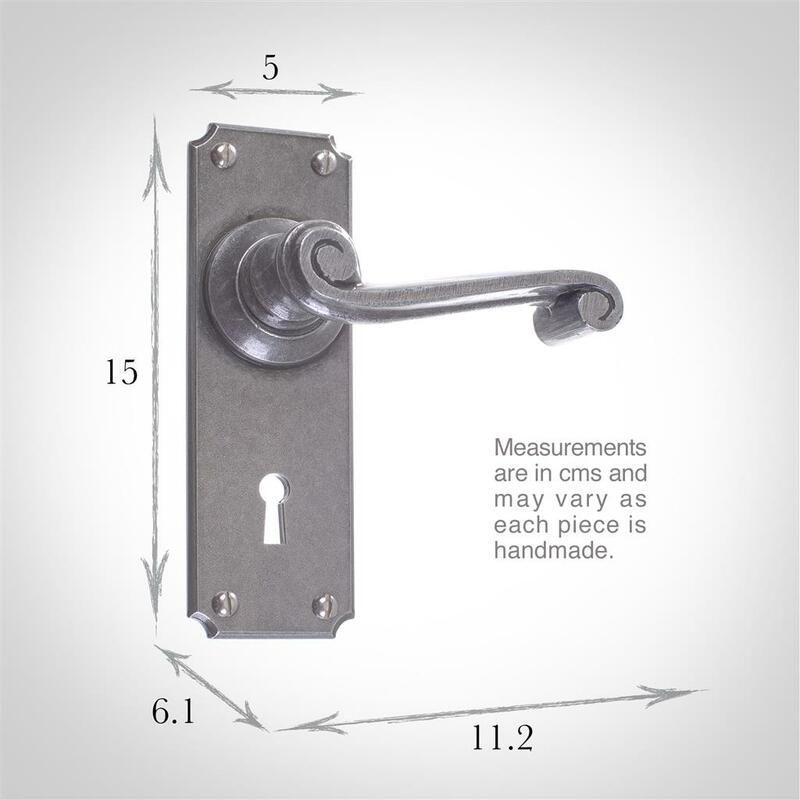 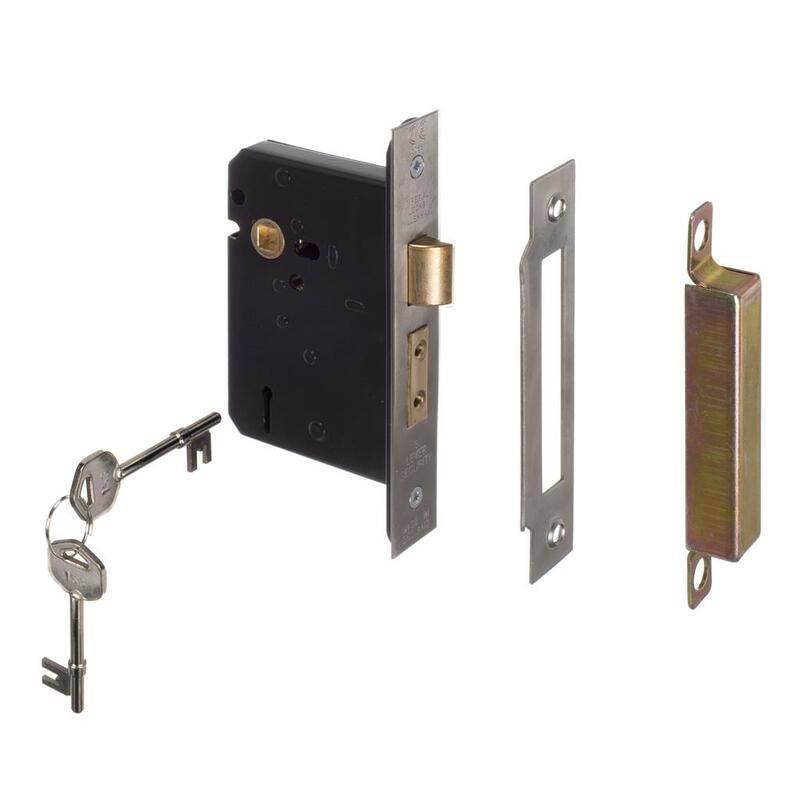 These handles are supplied with a pair of backplates, fixing screws and spindle. Our handcrafted Regency handles are made from solid brass or steel and available in a choice of authentic finishes. The feel of these handles is of luxury and quality and they are sprung on both sides. 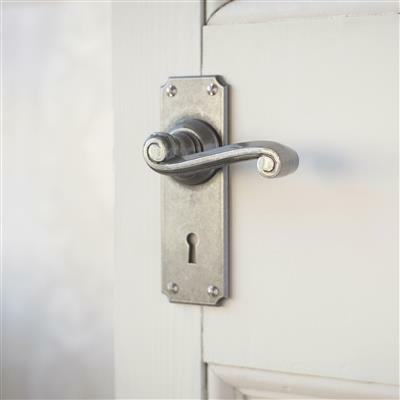 This Bristol backplate with a keyhole is stylishly simple with a bevelled edge and it gives a clean-cut look; perfect if you are after a contemporary feel to your door.